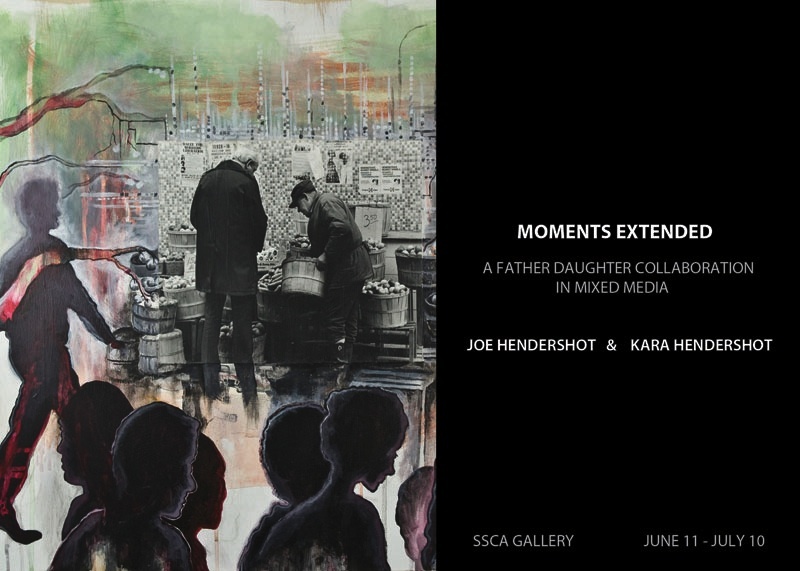 Black and white photography and mixed media painting by Kara Hendershot and her father, photographer Joe Hendershot. The project began in 2009 for an exhibit about intergenerational art called Creative Blood, at Altered Esthetics Gallery in Minneapolis. 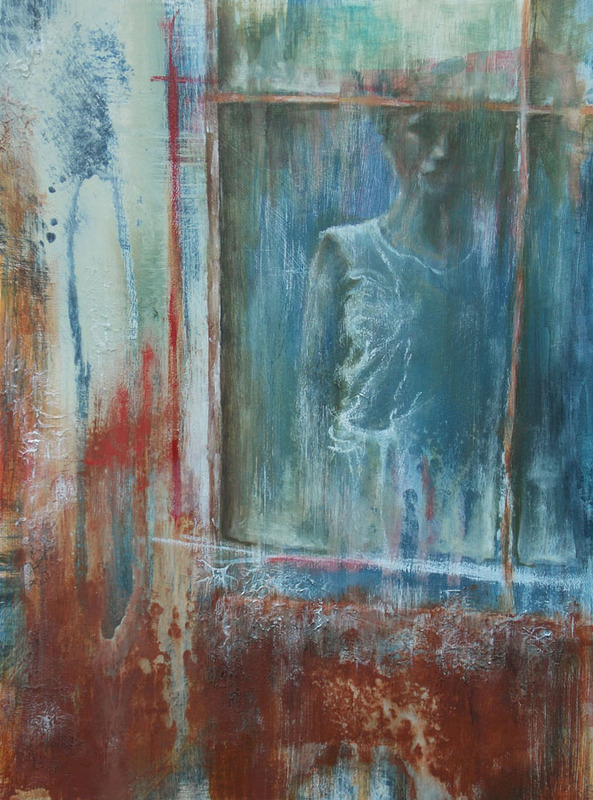 Using Joe’s original black and white prints as a starting point, Kara continues the story in each photo using mixed media painting techniques to create a mysterious world of surrealistic imagery. 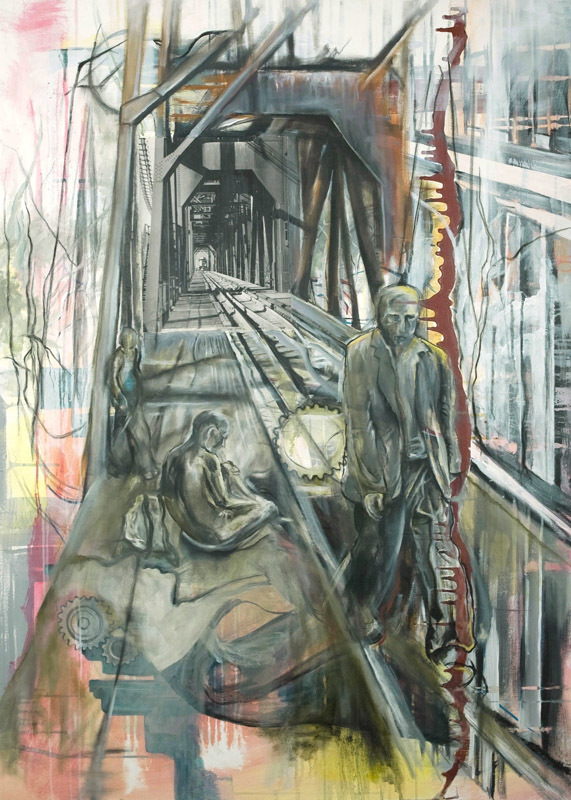 A new series of collaborative work was featured in an exhibit titled Moments Extended at Stevens Square Center for the Arts in June, 2011. 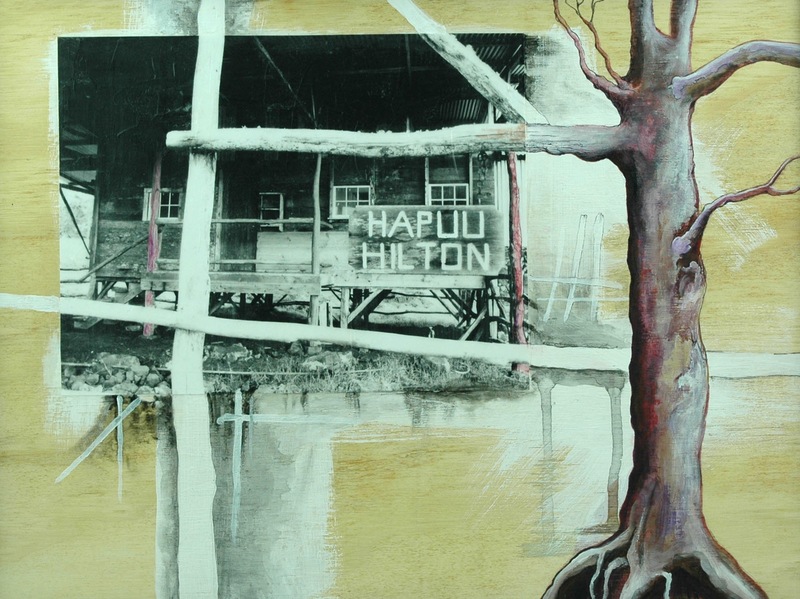 Happy Accidents is a collaborative effort comprised of two artists – Kara Hendershot and Summer Scharringhausen. It all began with an eight-foot piece of plywood, spray paint, and an image inspired by David Lynch. The goal was to create a painting for Altered Esthetics Gallery‘s Tales From the Black Lodge exhibit, held in October of 2008. 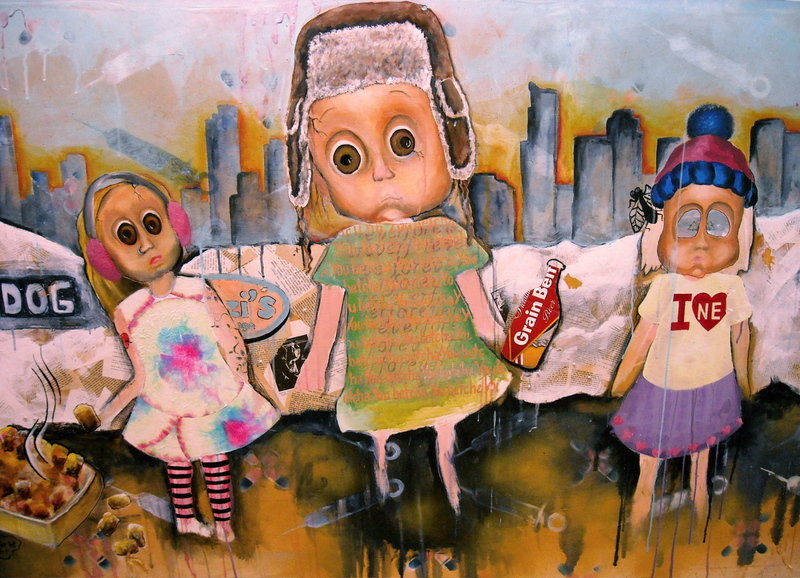 The original painting titled “Penelope” is an ongoing project, a large mixed media painting consisting of giant doll characters amidst an ever-changing background. 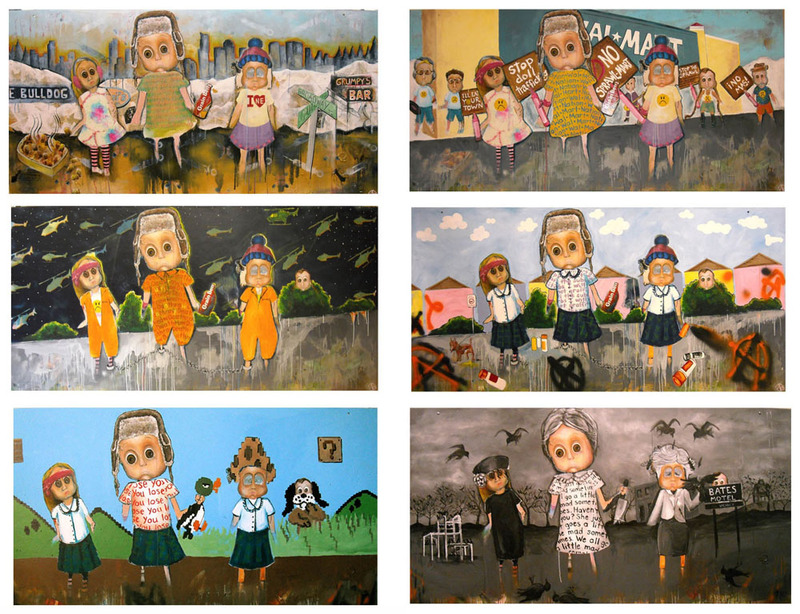 The painting is constantly changing, as Happy Accidents eagerly re-creates the story within the artwork by continuously painting over the previous scene. Happy Accidents has set a goal to fit “Penelope” into as many Altered Esthetics theme shows as possible. The collaboration, Happy Accidents, is all about liberation, spontaneity, and pure fun. 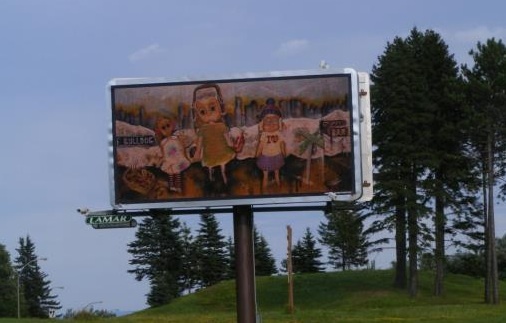 The artist duo has recently received national attention with their participation in the Billboard Art Project.